SEOUL, South Korea -- North Korean leader Kim Jong Un had his military chief executed for corruption and other charges, a South Korean official said Thursday. If true, the execution of Ri Yong Gil, chief of the North Korean military's general staff, would be the latest in a series of killings, purges and dismissals since Kim took power in late 2011. Details about North Korea's opaque government are notoriously difficult for outsiders to get, even national governments, and South Korean officials have a spotty record of tracking developments in North Korea. 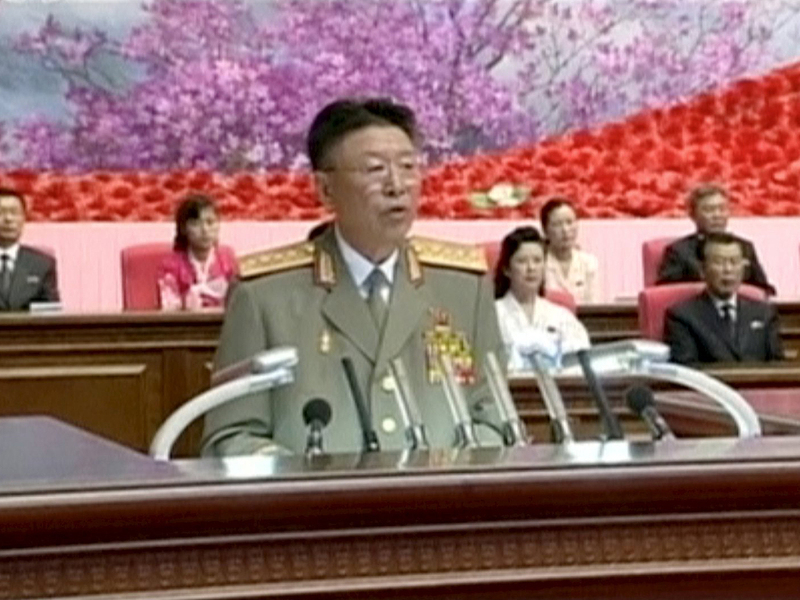 Flash points: Why did North Korea’s Kim Jong Un execute his defense minister? A South Korean official said that Ri's execution was part of Kim's effort to bolster his grip on power. Other charges Ri faced before his execution were abusing his power and forming a clique, the official said. The official didn't say how the information was obtained and spoke on condition of anonymity because it involves confidential intelligence on North Korea. The government had previously leaked the details to South Korean media. Ri, an army general who took up the top military job in 2013, had been considered as one of Kim's trusted aides because he frequently accompanied his inspection tours of army units and factories. Speculation about his fate flared after he missed two key national events in North Korea: a meeting of senior ruling Workers' Party officials last week and a rally celebrating the North's rocket test this week. During the Workers' Party meeting, Kim called for a fight against misuse of authority, abuse of power and "bureaucratism" that he said undermined single-minded unity in North Korea. South Korea's intelligence service said in July that 70 North Korean officials have been executed since Kim's inauguration, a number that far exceeds the bloodshed of his dictator father Kim Jong Il's early rule. Before Ri's reported killing, the most notable executions were the killings of Armed Forces Minister Hyon Yong Chol for disloyalty last year and Kim's powerful uncle Jang Song Thaek for treason in 2013. Some outside experts have said repeated bloody power shifts in North Korea indicated the young leader is still struggling to establish himself.